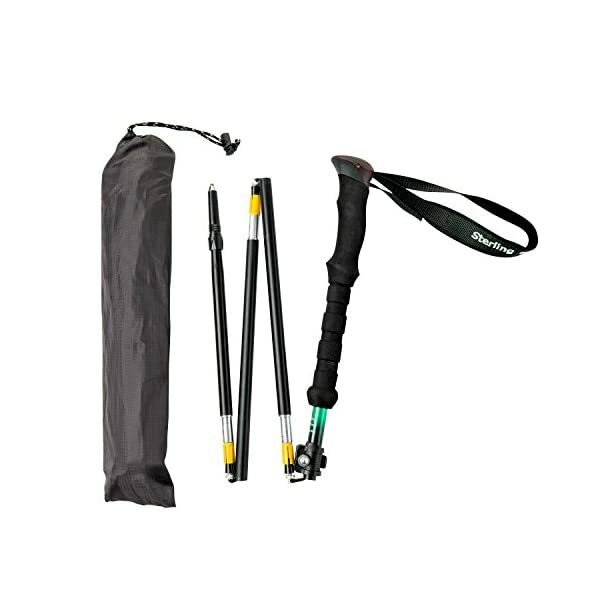 FOLDABLE – Collapses to 13 ½ ” to fit in your backpack or your carry-on bag. When not in use, store the poles in the free included cloth storage bag. 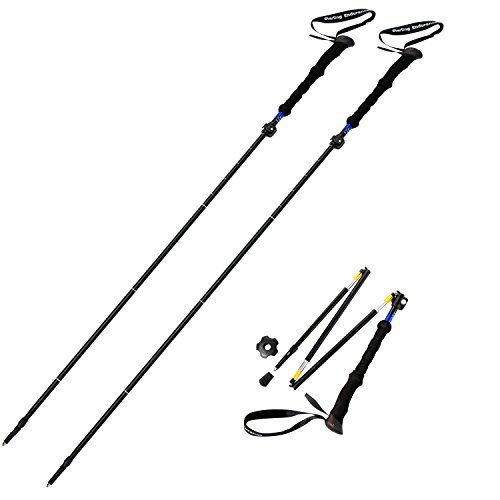 These compact poles are perfect to take on backpacking trips, snowshoeing expeditions and all of your vacation adventures. 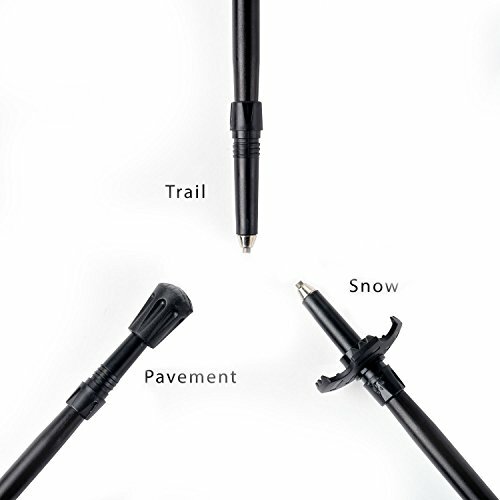 Our poles have been used on every continent, even Antarctica. BUILT TO LAST – Made of a special T6 alloy of 7075 aluminum. The T6 alloy combines a number of metals including zinc and magnesium that give it lightweight, extreme durability and strength comparable to some steels. 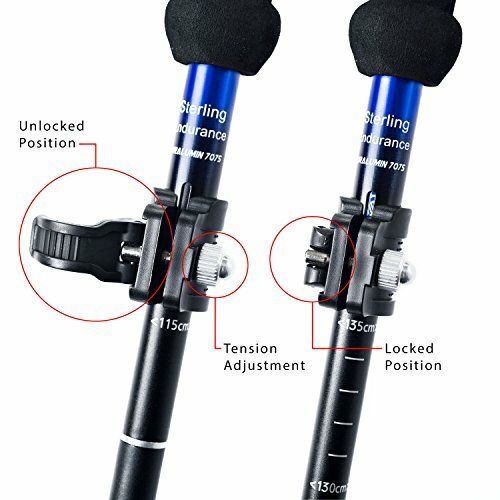 ADJUSTABLE HEIGHT – Our poles feature our Quick Flip Lock so you can adjust the height of the poles from 44″ to 54″ quickly and easily. 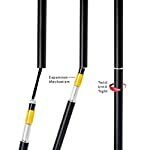 These poles fit people from approximately 5′ 4″ up to 6′ 4″ tall. 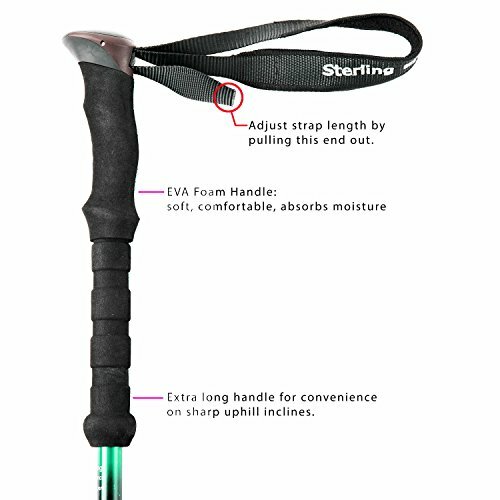 For those 5’3″ or less, try SHORT PERSON’S TREKKING POLES by Sterling Endurance. 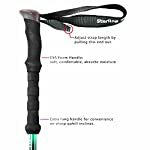 Sterling Endurance Folding Collapsible Trekking Poles are strong, durable, light and the most portable poles that You’ll be able to buy! 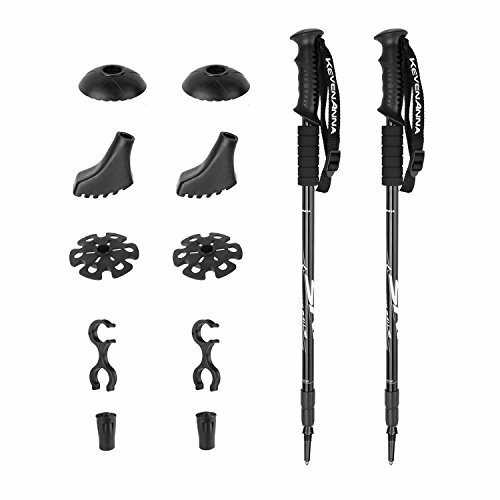 They are perfect for hiking, exercising, backpacking, snowshoeing, walking and for your whole vacation adventures. 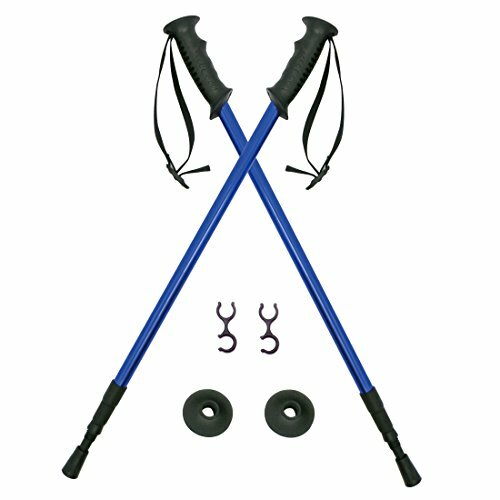 These FOLDING COLLAPSIBLE POLES are designed to be the most durable, lightest and most easily transported available anywhere. 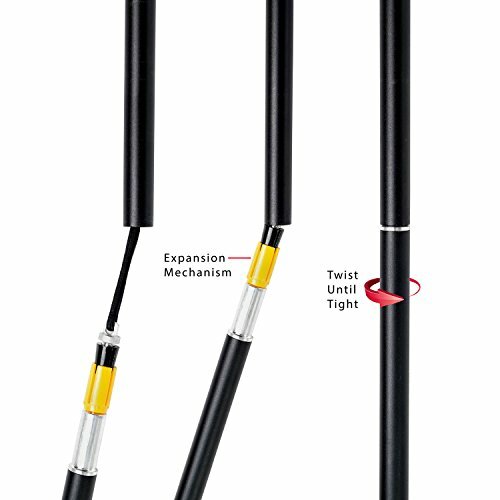 Sterling Endurance poles take just seconds to assemble and disassemble. Each pole comes with a TUNGSTEN CARBIDE TIP, rubber tip cover and snow basket that enable you to use them on a number of surfaces and in widely varying conditions. 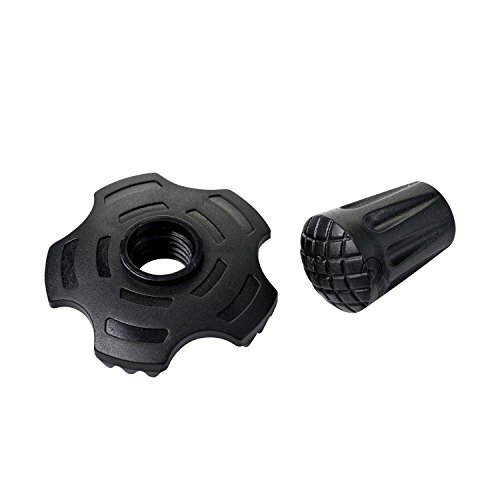 The shaft is made of T6 which is the STRONGEST ALLOY OF 7075 ALUMINUM. T6 has the strength of many steels, whilst retaining aluminum’s lightweight qualities. The surface of the alloy is created through an advanced oxidation process that protects the metal from weathering and corrosion. 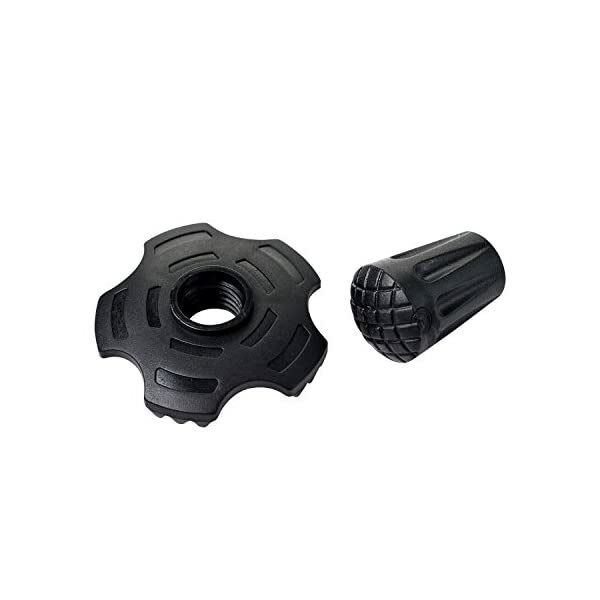 The EXTRA LONG EVA FOAM HANDLE provides versatility in changing terrain when switching handgrips becomes necessary. 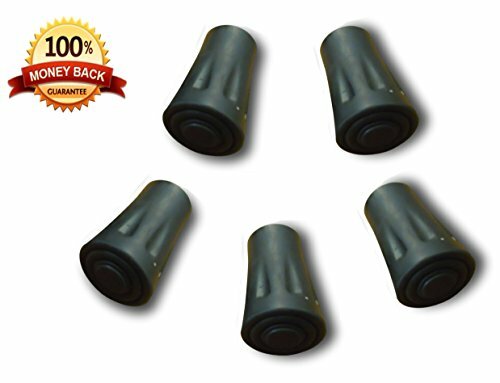 EVA foam gives it an excellent all weather soft comfortable feel whilst absorbing moisture from sweaty hands. HEIGHT IS ADJUSTABLE to accommodate people from 5′ 4″ to 6′ 4″ tall. The SPECIALLY MADE HAND STRAP has been widened and thickened for extra comfort. The lining breathes and wicks away sweat to make you more comfortable on long hikes. 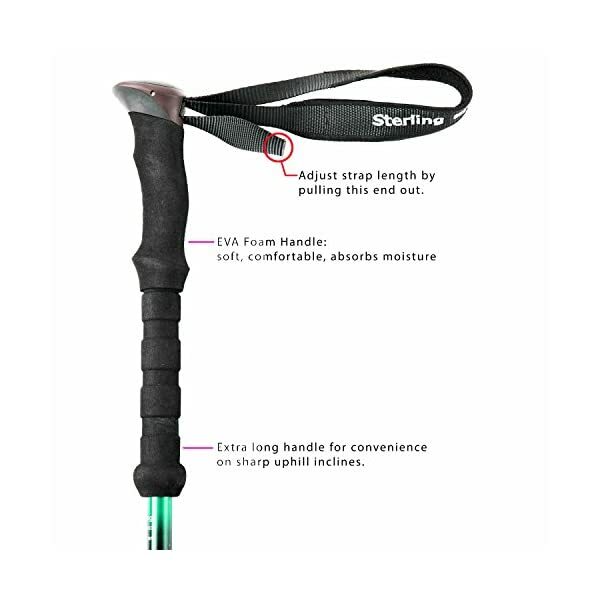 The strap length is easily adjusted to fit your hand comfortably. 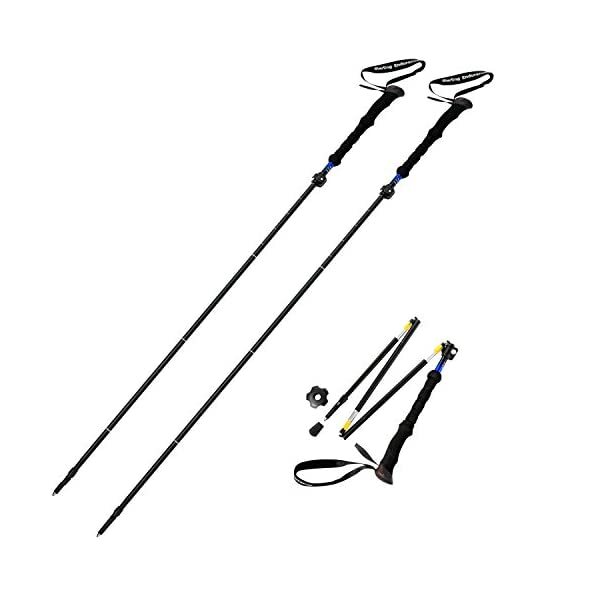 ONE YEAR WARRANTY – The poles can be returned for a replacement or a refund, no questions asked. Your satisfaction is our goal. We are a small company run by a lifelong hiking enthusiast. Our goal is simple. 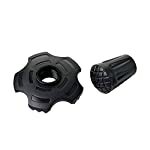 We endeavor to provide the best products at the lowest conceivable cost. Click “ADD TO CART” and Buy Now! 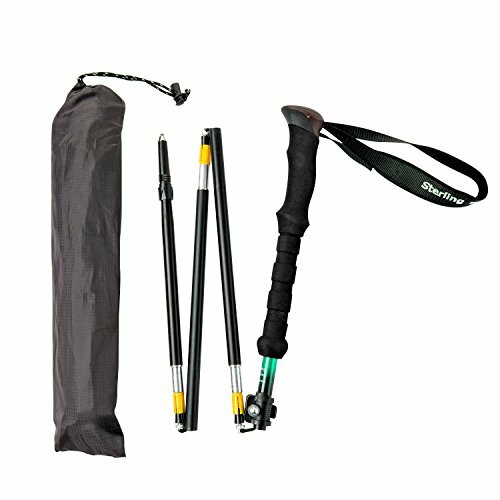 FOLDABLE – Collapses to 13 ½ ” to fit in your backpack or your carry-on bag. 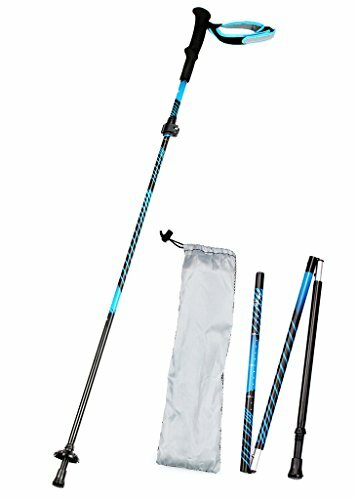 When not in use, store the poles in the free included cloth storage bag. 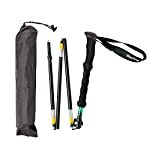 These compact poles are perfect to take on backpacking trips, snowshoeing expeditions and your entire vacation adventures. Our poles have been used on every continent, even Antarctica. BUILT TO LAST – Made of a special T6 alloy of 7075 aluminum. The T6 alloy combines quite a lot of metals including zinc and magnesium that give it lightweight, extreme durability and strength comparable to some steels. 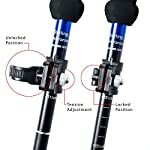 ADJUSTABLE HEIGHT – Our poles feature our Quick Flip Lock so You’ll be able to adjust the height of the poles from 44″ to 54″ quickly and easily. 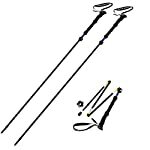 These poles fit people from approximately 5′ 4″ up to 6′ 4″ tall. 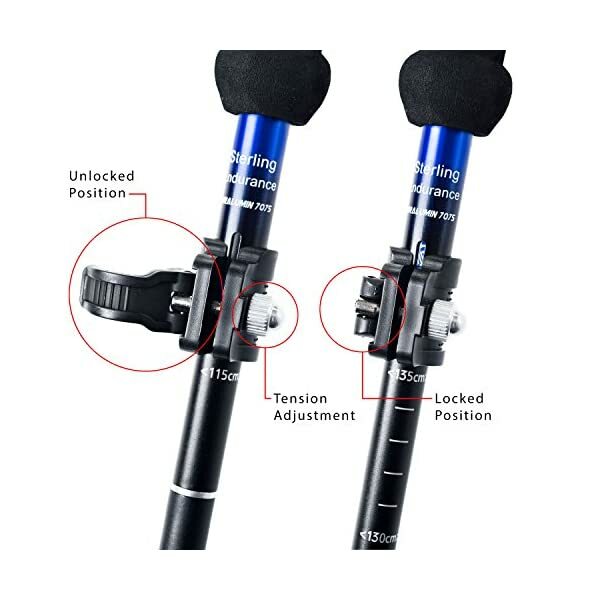 For those 5’3″ or less, try SHORT PERSON’S TREKKING POLES by Sterling Endurance. 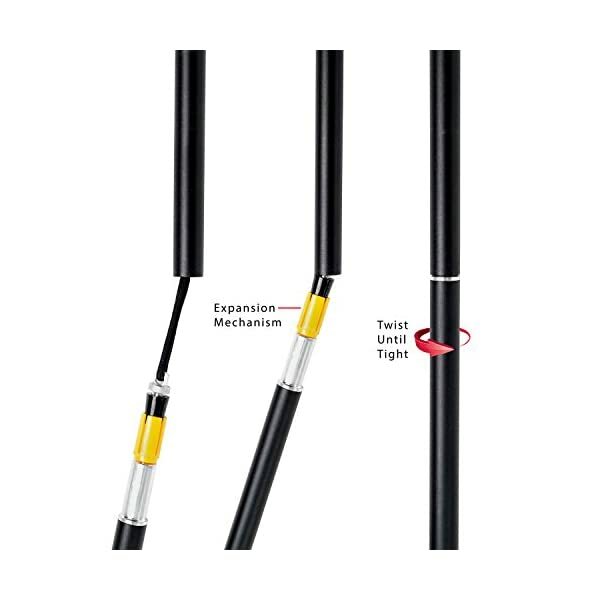 ULTRA-LIGHT – Each pole only weighs 10.8 ounces for less fatigue and greater endurance! You’re going to also love the comfortable extended EVA foam maintain. 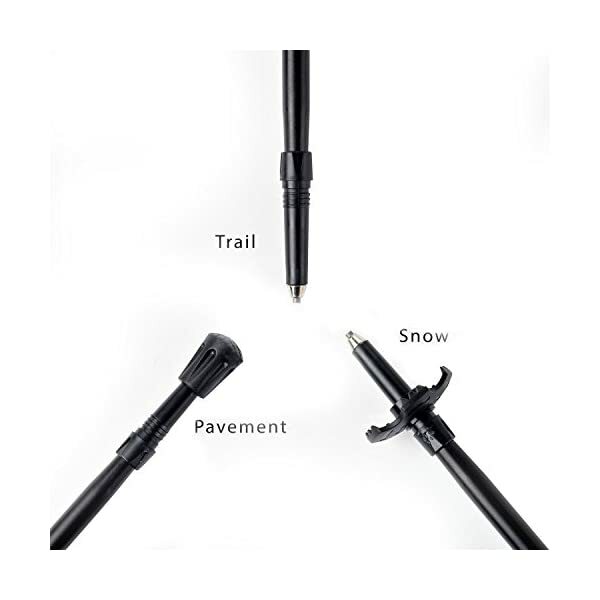 WARRANTY – Don’t just take our word that these will be the only poles you can ever need. They come with a 1-year warranty! You’ll be able to return the poles no questions asked.